This is so awesome! I cannot wait for this! The assassinations are a nice touch. Whoah! That is really impressive! Gotta love this! Could be a movie, awesome work!!! Atmosphere in this game is really second to none, what bothers me is the fact that you have to put a goddamn bulletstorm (no pun intended)to take down a single robot and overall inaccuracy of the firearms (those two problems are probably closely related). He can just express his feeling about this, leave the guy alone, as for me i like this very much, the only thing bothering me is the heli @ 0:13 it look rather unnatural when it comes down so fast and almost withing a second hangs in the air like nothing. But casual gamers dont have opinions. since the game IS in alpha-stage, hur hur. Holy ****. This is really starting to look amazing! 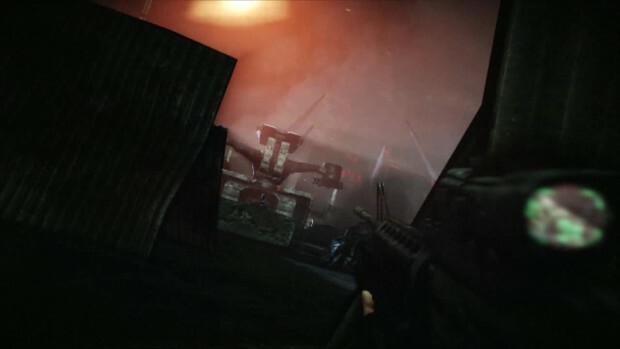 Also, can be expect some fancy FPS death scenes like in AVP 2010? I will pay for this! Wish I could play it, tell me if I simply get a black screen then it's time to get a new video card? Or is it a problem with software? @MrBCut that is a good compliment but wouldnt you rather have an awesome free game rather than an awesome pay 5 bucks to a website you dont know you can trust game?